Are councils in bed with Agrichemical companies? Both the Auckland & Rangitikei District Council are favouring chemical weed control over non-chemical, in spite of the heightened health risks highlighted recently by WHO. They cite outdated & incorrect data to support this preference. Some Aucklanders are currently objecting to a flip flop on their Council’s current weed management policies. A petition has been circulating (and is on FB also if you would like to sign it) calling (like the Rangitikei) for a ban on the use of glyphosate on Auckland’s streets and parks. Some parts of Auckland are chemical free in terms of weed management however not all, and council is doing a u turn on their current policy of minimal chemical use, indicating in their Ten Year Plan a preference for chemical control. Auckland’s Weed Management Advisory (a Community-led organization that helped create the Council’s Weed Management Policy 2013 of minimum agrichemical use, which the Council seems intent on doing away with) are also calling for a BAN on Glyphosate and have put a leaked briefing document up on their website. You can read it here. This is the Long Term Plan featuring quotes for alternative methods of weed management as opposed to management with glyphosate, typically, Roundup. Georgina Blackmore, the petition organizer, states that the figures cited should be taken with a pinch of salt … in fact a very large amount of salt. They are using she says, old, inaccurate and misleading information. “Disingenuous” says Auckland councilor John Watson. The Weed Management Advisory has accused the Auckland Council of putting the public at risk. Read their press statement here. This line is a very familiar tale. Our own Rangitikei District Council cited inaccurate figures when justifying their rejection of glyphosate-free weed management in our public spaces. We had tried to counter this outcome by citing Auckland contractors who are currently employing mechanical weed control methods. The latter stated emphatically that their costs were a marginal 10-15 percent more than Roundup, and expected soon to even match it. Similarly, with the current Auckland scenario cited here, other Auckland contractors are saying their costs are even less than glyphosate. When the request for tighter parameters and controls around glyphosate spraying was originally put to the RDC, citing the extensive independent research available on the myriad health risks associated with Roundup use, an internal report was requested by RDC on alternative cost-effective weed-control methods. Councilor Lyn Sheridan asked why health effects were not investigated by RDC and the response by CEO Ross McNeill was, ‘…they weren’t asked for’. They are missing the point here. We need to be asking, why are Councils so bent on, so adamant, about choosing chemical control, and with a chemical that has recently been re-classified by WHO as a Class 2A carcinogen? Claiming there is insufficient proof of health risks is myopic at best. That statistic is extremely high and surely deserving of closer examination of the research into environmental causes and the elimination of the probable ones? The thing about Roundup is (and you will hear this in the audio link below) we the public are given no warning in advance of spraying, no signs are put out when they are spraying (so people can walk on it before it’s dry without even knowing) it is sprayed on public walkways where school children walk with no prior warning and it is sometimes sprayed on windy days. Read Georgina’s piece here on her recent findings and her interview on Radio with Auckland Councilor John Watson and Professor Ian Shaw from Canterbury University. Returning here to the story of the pollution of our supposedly ‘clean green’ waterways, the centennial commemoration of the landing at Gallipoli, and Muaupoko’s once pristine lake that Lord General Freyberg trained in. Freyberg is known to younger New Zealanders as a General who served in WWII. 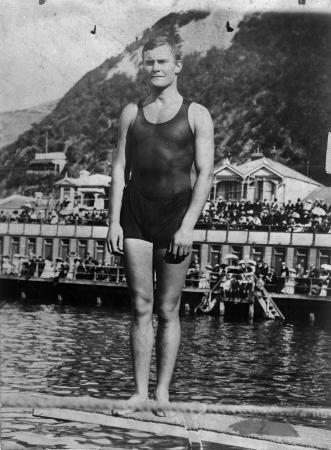 He earned his VC (Victoria Cross) however in WW1 as an expert swimmer. My father was his driver for four years during WW2. To read Part 1 go HERE. In the case of the Muaupoko people, their lake that historically they’d generously shared with the locals for recreation, was also a sacred site, being the resting place for many of their ancestors. The Councils of the day that agreed to its pollution would have known that the owners also relied on it for their food and income. They’d had to wade out amidst human feces and toilet paper to their eel weirs (traps or nets). Other food sources within the lake would also become so inedible, many of the people eventually moved away. The fouling of food sources like this is tantamount to emptying a septic tank straight onto your neighbour’s vegetable garden. Not ending there however, the lake’s pollution has continued unabated and is now one of the most polluted in the country. Even today apparently, sewage is released whenever a nearby pumping station is overloaded, and it’s been said from testing of the water that a small glass-full has the potential to kill an animal or even a small child. The cited $2.886 million to clean up the sheer negligence of previous generations has become it appears, the new norm. Horizons Regional Council is tasked with ‘maintaining and enhancing our Region’s land, water, air, coast and habitat protection.’ The operative and strategic word here is ‘enhancing’. A fairly all- encompassing term that doesn’t tie the Council to too much in the way of specifics. This practice is borne out in other regions as well. 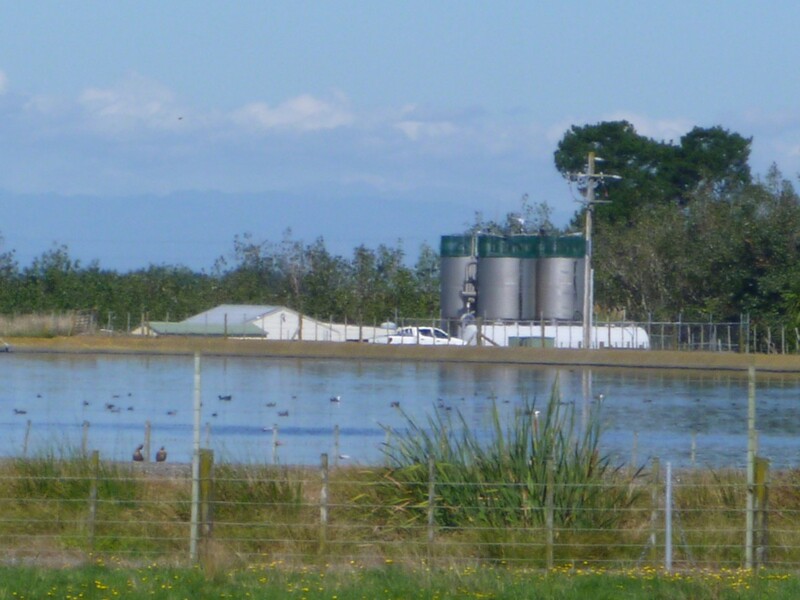 When I began to research the cleanliness of our waterways in this ‘clean green’ land … I began to notice that although there is a standard of acceptance set, it’s not always strictly enforced as was evident in the case of the discharge of leachate into our Rangitikei waterways for nine years. In spite of efforts in 2011 by local residents to bring this into the light of day via the Community Committee, council ignored their cries and the pollution still continues. (Documented on this site). In recent discussions with our Mayor Andy Watson about this pollution, he put it into ‘perspective’ by citing the fact that it is not out of the ordinary and other Rangitikei treatment plants are also non compliant. A bit like our kids do when they argue ‘everybody else is doing it’. We have here an informal agreement that financially benefits the offshore corporation, Midwest Disposals, while severely polluting our waterways … with promises for clean up that never quite materialize. Councils are well versed in rhetoric like, ‘it will take time’, ‘it could take months’ and more recently, in the case of the Rangitikei, ‘we’re chipping away at it’ … dragging the chain as it were, to forestall any definite action. Add to this Lake Horowhenua’s damning history and the fact that the nearby Manawatu River is one of the most polluted in the Southern Hemisphere … plus the numerous other tales of pollution NZ-wide, and you will see a familiar pattern emerging. We are touted in the international advertising spin as being ‘clean and green’, yet in the cold light of day our environment is being severely trashed. Ironically the rhetoric on the associated council and environmental websites all point to the need for sustainable practices (UN Agenda 21 plan) and yet the powers that be fail to live up to them. Double speak and hypocrisy at it’s worst. The mentality our governing authorities have that we can simply pay all this damage forward to future generations, whilst corporate business interests continue to profit and/or save money now will not only be the death of our planet but the death of us as well. As it’s been said by an astute observer, ‘there can be no economy on a dead planet’. Returning to the ANZAC Day service, it turned out to be one of the nicest ANZAC services we’d ever attended. The people there were warmly welcoming and so interested in our piece of history that they invited us to share. We accepted of course and were touched that this trio of old soldiers who have now passed on, were honoured with a waiata (a song). We felt right at home and were welcomed afterwards to a beautiful spread of kai and a cuppa, with lovingly prepared, locally cooked eel, sandwiches and cream sponges to name a few items on the menu. I’m sure the General himself would have been suitably impressed, and I know my dear Dad would’ve been proud as. Over our cuppa, we also learned something of the history of the lake, its owners who had welcomed us, and their long and ongoing struggle with local council to not only retain it, but to keep it clean, an all too familiar David and Goliath tale in our histories. My father himself had shares in Whanganui tribal lands that he never understood. Confiscated I believe by Te Kooti Tango Whenua (the Land Taking Court). Before closing, a word on war. Although we honour our forbears every ANZAC, we need to remember that these loved ones who truly did sacrifice their lives, were pawns in a much larger scheme of events. My father, who went off to WW II with his four brothers at the tender age of 17, said in his latter years that wars would never end because ‘wars make money’. Great Britain, and the royal family both deal in the arms trade and the Queen is the current owner of one sixth of the planet. (Note well, her royal predecessors did not acquire it by entirely peaceful negotiations). She has our nation registered on the SEC website as her corporation … we are a registered company which explains the absence of true care for our environment. Corporations are, above all, about profits. So, as always, we need to follow the familiar money trail. Those who read beyond the official histories (who know that ‘Maori Wars’ and ‘Indian Wars’ were actually ‘Land Wars’) will also be aware of the role of the Rothschild family in fomenting and profiteering from wars for hundreds of years, boasting even of funding both sides. The death toll from WWII was over 50 million lives. Our loved ones were simply pawns. Nevertheless we honour the fact that our loved ones went honourably and served their beloved countries and peoples. These other people, the profiteers, have blood on their hands that one day, I believe, they will have to answer for.